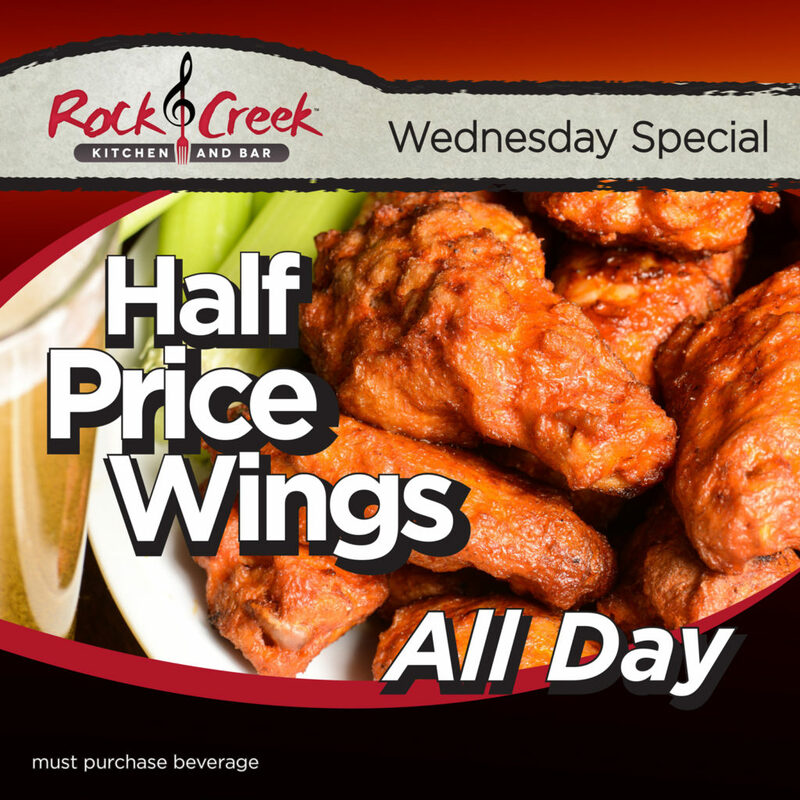 Wednesday Special – Half-Price Wings All Day! 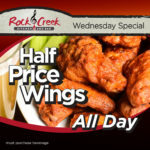 Wednesday Special – Half-Price Wings All Day! Must purchase a beverage. 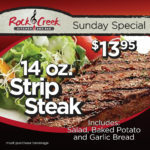 Sunday Special – $13.95 14 oz. Strip Steak! 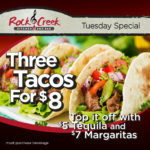 Tuesday Special – Three Tacos for $8.00! Subscribe to our newsletter for all the latest Rock Creek Kitchen & Bar news and events!